In a recently published column Armstrong Williams, conservative author, pundit and one-time advisor and spokesman for HUD Secretary Ben Carson’s 2016 presidential quest, says he believes that the Federal Reserve is nothing more than a “giant debt factory” that is setting the country up for a fiscal disaster. 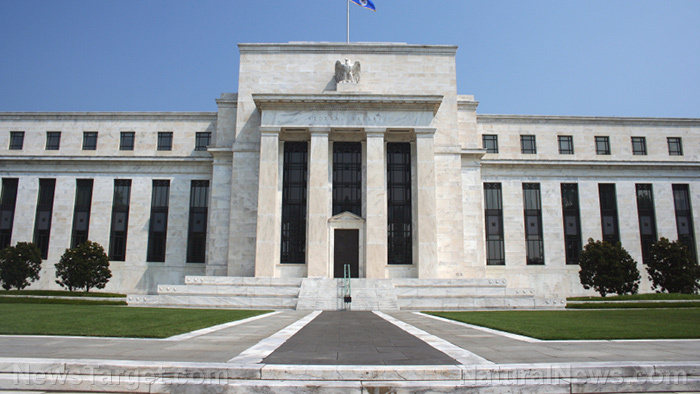 In making his observations, Williams noted that he had recently completed the book “The Creature from Jekyll Island,” which was written by noted conspiracy theorist G. Edward Griffin, a tome that details the author’s thoughts on why the Fed was created in the first place — and it wasn’t to advance and guide sound domestic economic policy. — “Foreign aid” today is just a crafty means of shifting bad debt from wealthy financiers and banks to American taxpayers. Williams is quick to note that the book contains some glaring contradictions, such as its claim that President Lincoln was a liberator who wanted to “avoid being goaded into a destructive civil war by European powers” who were jealous of American prosperity, and that he thought of colonizing Mexico. But, Williams noted, the book does contain some valid points that are worth serious thought and consideration. Namely, that over the course of several generations, people with concentrated wealth have shown a desire to utilize the U.S. military and the seemingly limitless fiscal power of the American taxpayer for personal gains. In that vein, Griffin makes the case that the Federal Reserve was a quasi-financial system created through political action to disguise the fact that a private banking cartel was being given control over U.S. currency and economic policy. Griffin explains that the Federal Reserve isn’t “federal” and it’s not a “reserve.” It’s not a federal government entity and it doesn’t hold genuine financial instruments in “reserve” (like gold). Rather, he argues, the Fed is a gigantic debt factory that is supported by the “full faith and credit” of taxpayers. For another, the cost of energy in the U.S., along with housing, education, and other commodities and necessities has skyrocketed — all while wages have remained flat or even declined. Someone working for a tech giant in Silicon Valley can easily earn six figures a year, but as Williams notes, they still can’t afford a home there. “Home prices are so out of line with average salaries that cities like San Francisco and Los Angeles” are seeing homeless epidemics, he wrote. Meanwhile, local and state governments — along with the federal government — have increased regulatory costs and raised taxes to cover dwindling reserves and higher expenses, and these increases, too, have exerted tremendous downward pressure on earners. The lesson is that “centralized economic planning” cannot and will not ever replace genuine growth achieved via capitalism. And we continue to fail to realize that at our peril.